To meet the growing demand from trainers and all those concerned with racing. 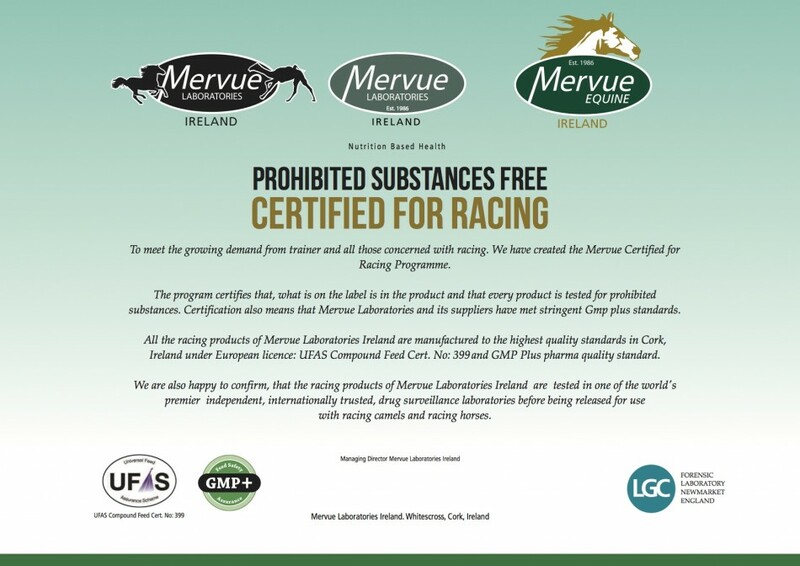 Mervue have created the Mervue certified for racing programme. The programme certifies that what is on the label is in the product and that every product is tested for prohibited substances. All the products of Mervue Equine are manufactured to the highest quality standards in Cork , Ireland under EU licence and GMP pharma quality standard.